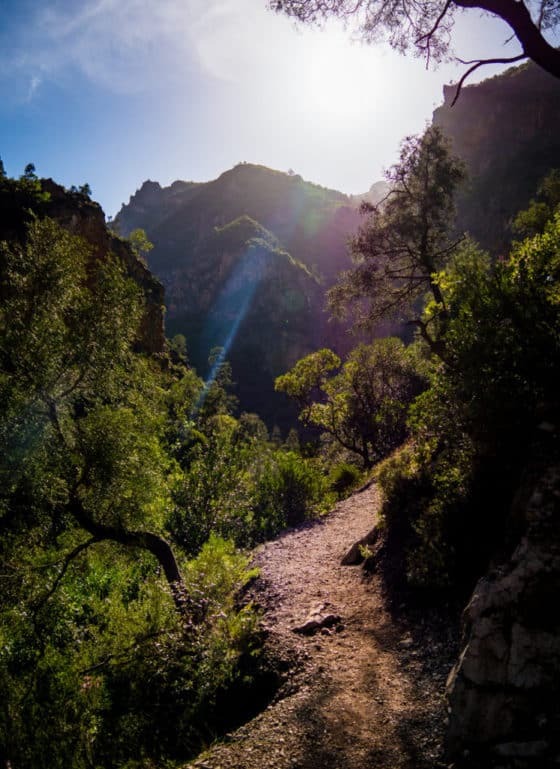 This article explains how to get to Akchour from Chefchaouen by public transport, how to hike the trail towards the Akchour waterfalls and what you need to bring on this hike. Morocco is a gorgeous place full of diverse landscapes. When I first visited this destination, I had the idea like most people that the whole country was a vast barren desert with sand dunes and camels everywhere. Oh, boy was I wrong! 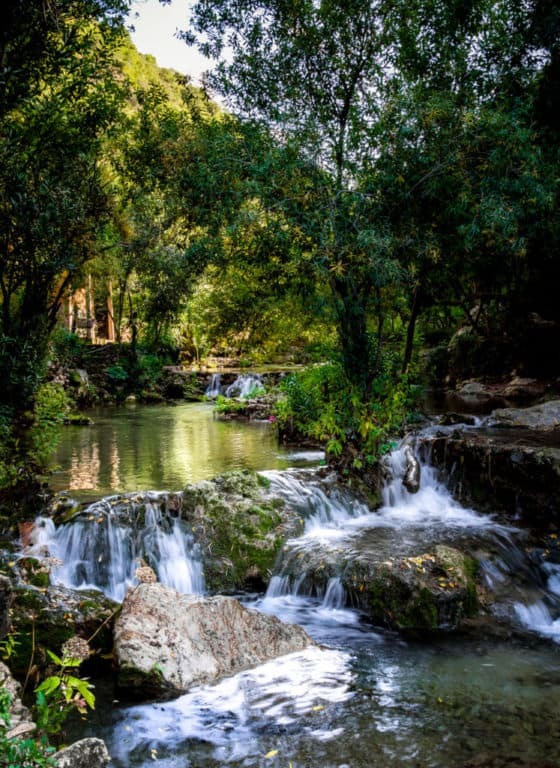 The whole northern part of the country is composed of lush forests and when the autumn rains come around, it’s possible to see waterfalls and rivers overflowing with fresh water in the mountains. 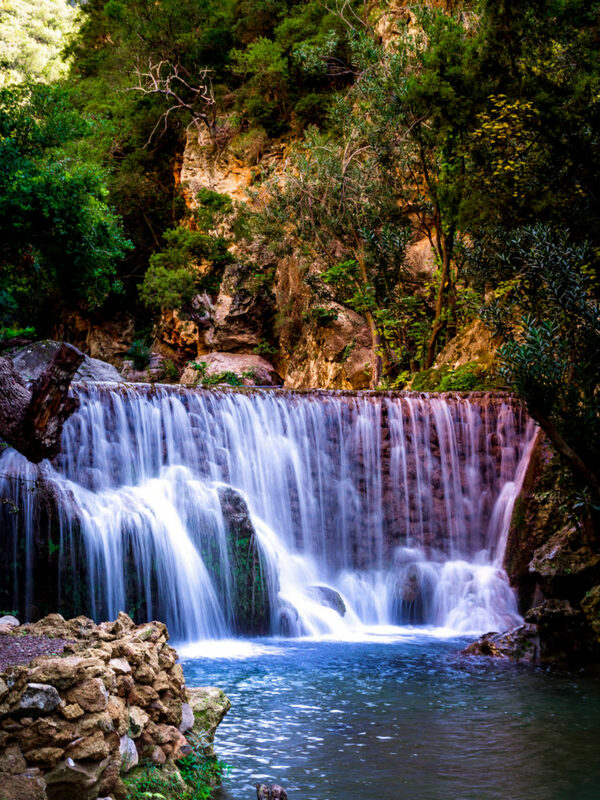 One of the most beautiful waterfalls in Morocco are the Akchour waterfalls in the Rif mountains. 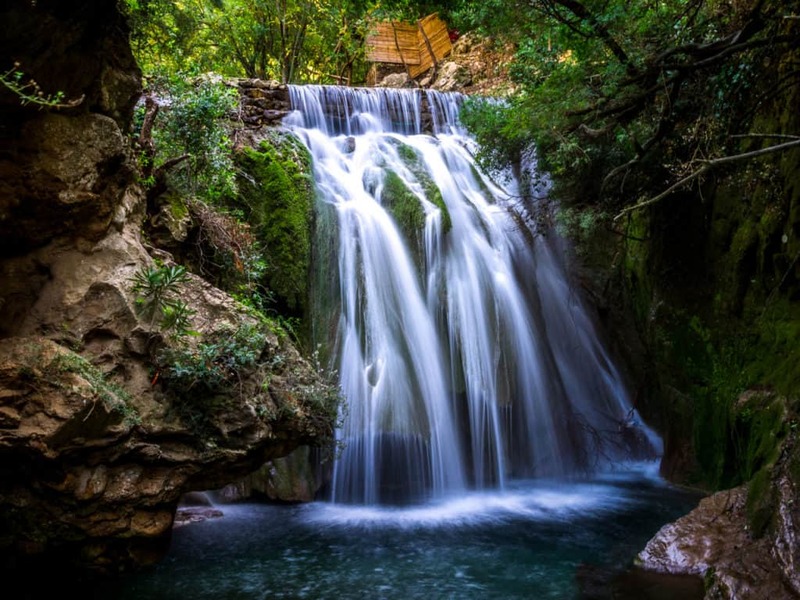 This series of waterfalls is a lot calmer and less visited than the Ouzoud waterfalls near Marrakesh. Cynthia and I had so much fun hiking up to Akchour last autumn. It is located in the Northern part of the country, about 45 minutes driving from Chefchaouen. Both the city and the waterfalls are worth a visit. 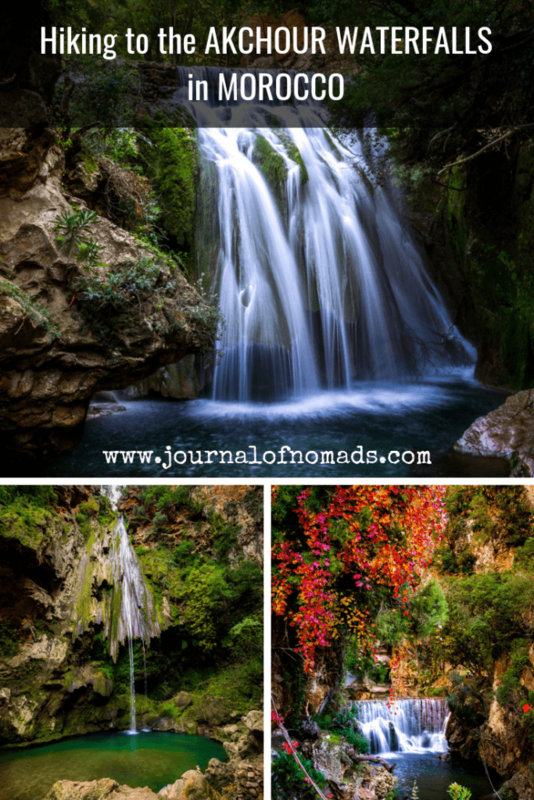 I’d suggest you take one day to visit Chefchaouen and one day to go on a hike to the waterfalls. 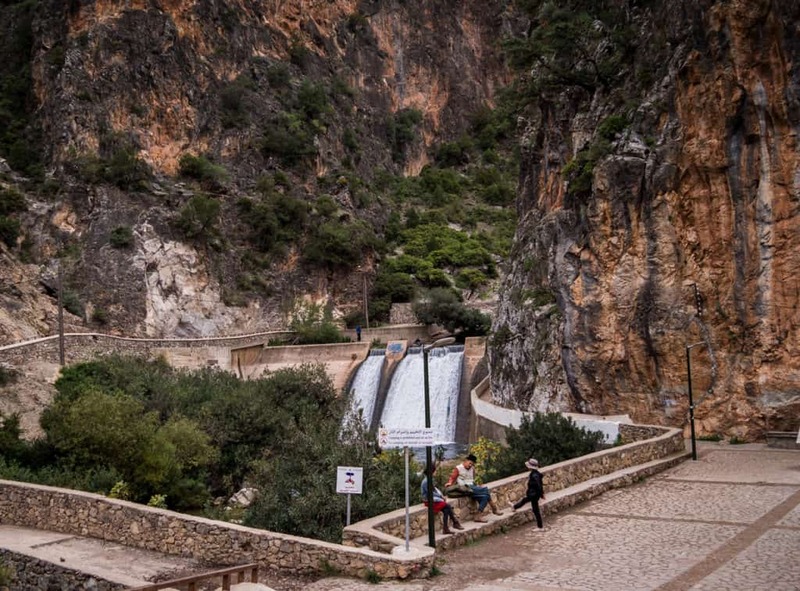 Getting to the Akchour waterfalls from Chefchaouen is relatively easy. 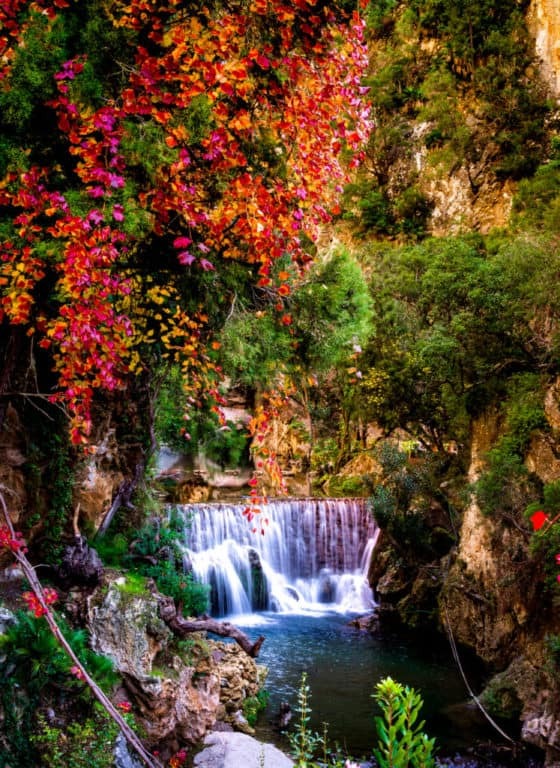 When you walk through the city, some taxi drivers will offer to bring you to the waterfalls and back for 400 dirhams, which is very expensive, even during the low season. The best and cheapest way to get there is by taking a shared ‘Grand’ taxi. These taxis leave when they are full and even during the low season they fill rather quickly. The fare is 25 Dirhams per person one way and the trip there takes about 45 minutes. Finding these shared taxis is very easy. First, you’ll need to exit the old Medina and find Boulevard Hassan 2 (see map below). Walk straight along the boulevard until you reach a roundabout near the police station. Then take the first exit right and you’ll find the taxis just down that street. Tell the taxi drivers that you want to go to Akchour and they will show you which taxi to take. It’s possible that you’ll have to wait for a bit until there are enough people to fill the taxi (one taxi takes 4 to 6 people). We waited about 15 minutes before our taxi was full. Akchour is a small town with one street on which you can find a few restaurants. The taxi will drop you off at the car park. You’ll see a gate near the restaurants. Cross that gate and keep walking until you see a hydro-electrical dam. Along the way, you’ll see more small restaurants and little shops. Some local guys will eagerly offer their services as guides. 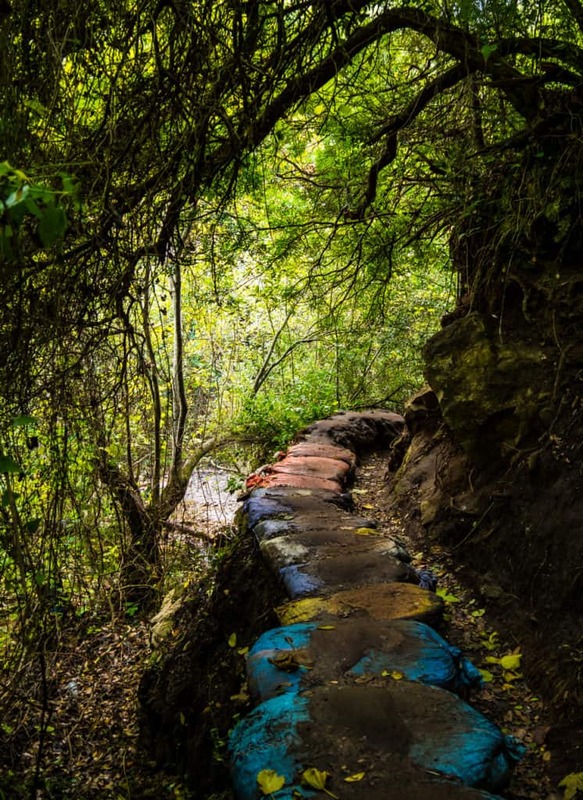 You don’t really need a guide as it’s easy to get to the waterfalls by yourself but if you want to learn more about the area, you could always hire one. Once you arrive at the dam, the road will split into two directions. The trail on the right leads to the unusual rock formation called the God’s Bridge. 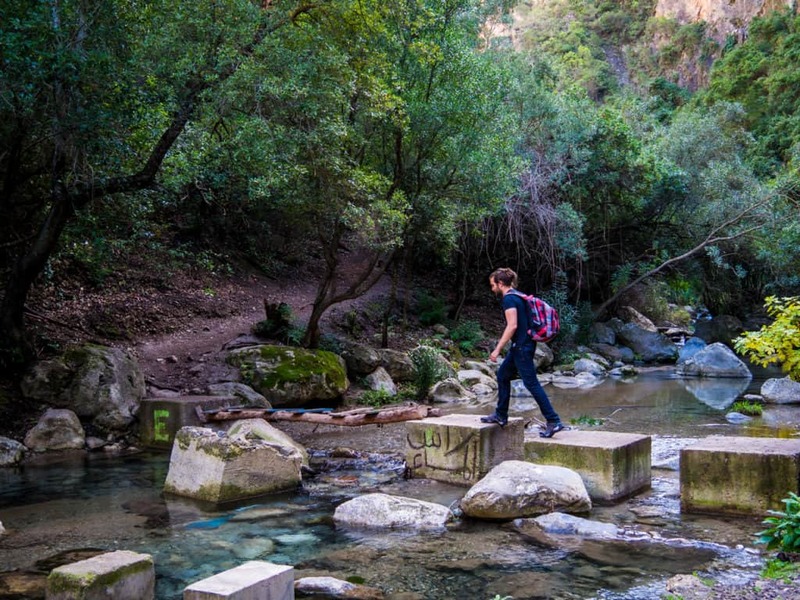 This hike takes about 45 minutes one-way. We didn’t hike there as we didn’t have enough time but if you’d like to visit both the waterfalls and God’s Bridge, you can do both if you arrive early enough at Akchour. We took the trail on the left and crossed the bridge to walk towards the waterfalls. Continue walking on this path until you arrive next to a stand selling Tajines and fresh drinks on your left. There is a small path that goes up and behind that restaurant and after a few minutes walking, you’ll see a sign showing plants native to the area. That sign means you’re on the right path. 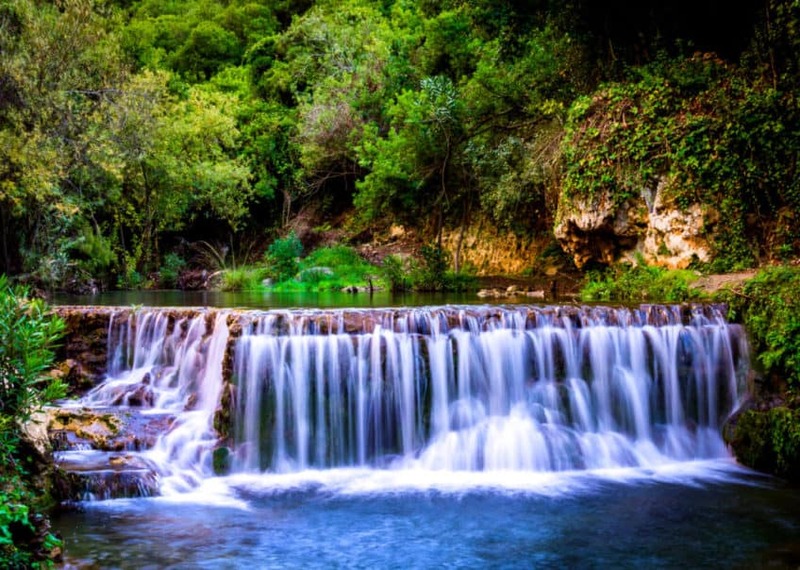 The Akchour waterfalls consist of a lower waterfall and a much taller one as well as plenty of smaller cascades that run along the same river. The walk from the dam to the “Grande Cascade” or Big Waterfall takes about 2 hours. 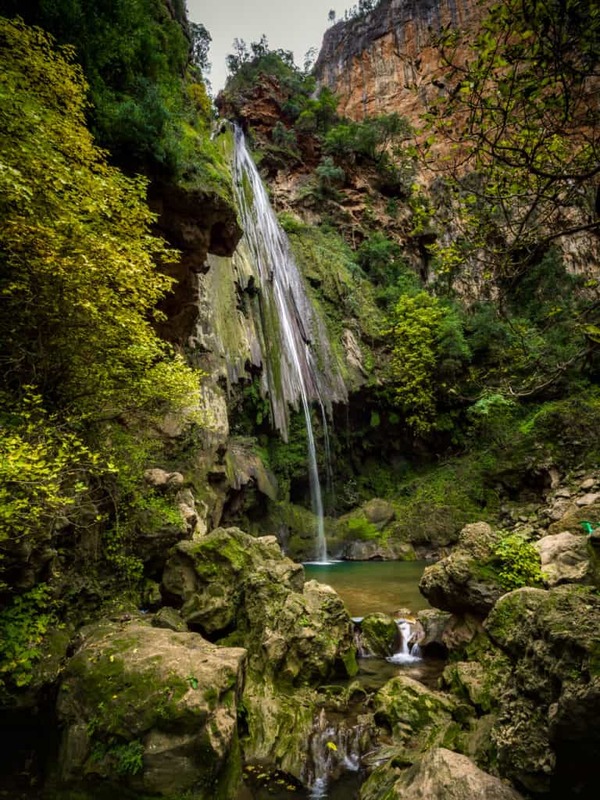 If you’re not that ambitious, you can also stop at the little waterfall, which is about 1 hour of hiking. It’s an easy trail, even if you’re not used to doing much hiking. The path is very clear so you can’t really get lost. 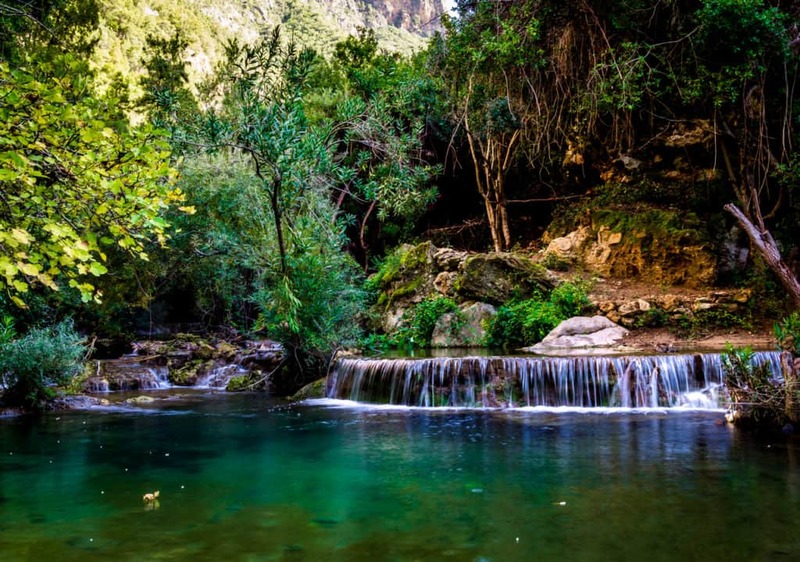 Along the way, you’ll come across some viewpoints where you can enjoy the view over the stunning little cascades and the spectacular scenery of the Rif mountains. You might also encounter some monkeys on your way! The Rif mountains are home to the Barbary macaque, a species of monkey that is only found in the mountains of Morocco, Algeria and with a small population in Gibraltar. If you’re quiet, you’ll hear them jumping from tree to tree and calling out to each other and if you pay attention, you might even see a family of them not too far from the hiking trail! It’s better not to return too late if you want to find a shared taxi at the gate that will bring you back to Chefchaouen. The fare from Akchour to Chefchaouen is also 25 Dirhams per person. 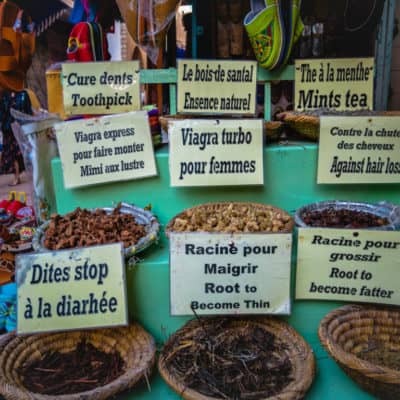 Read also: How much does it cost to Travel to Morocco? If you’re hiking during the autumn or winter, dress in layers as it can be quite cool and don’t forget to bring a rain jacket. Carry some water and snacks. 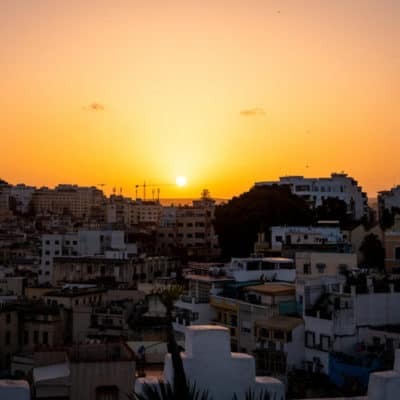 You’ll also come across plenty of little stands where you can eat Tajines and drink some delicious Moroccan tea so it’s also good to have some cash with you. 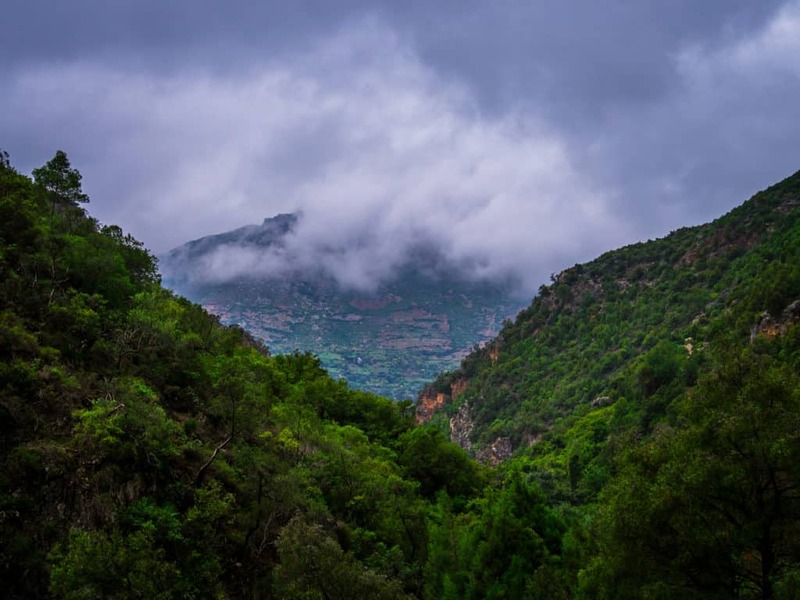 It’s possible to spend the night in the Rif Mountains, not too far from Akchour. There’s a beautiful hotel called Caiat Lounge Refuge, the perfect place to enjoy the beauty, peace, and quiet of the mountains. Click here to check rates and availability. 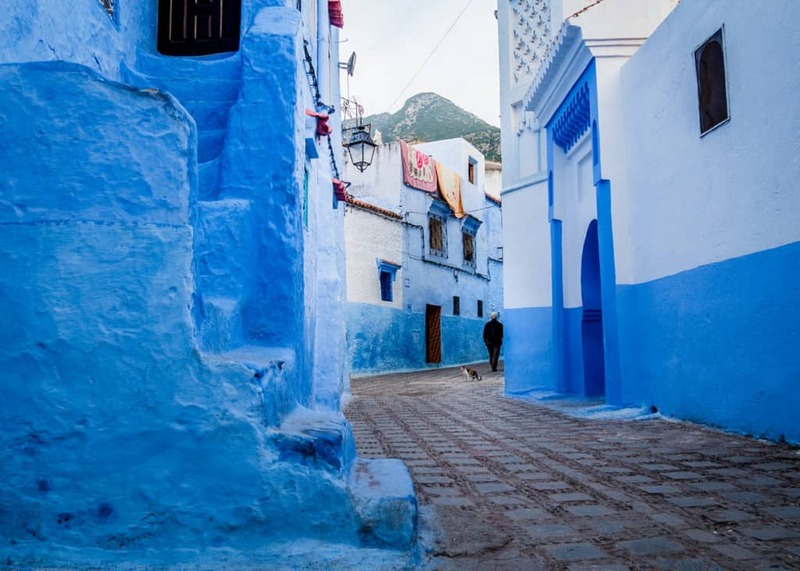 If you prefer to return to Chefchaouen, you’ll find many different hostels and hotels there with a wide range of prices. 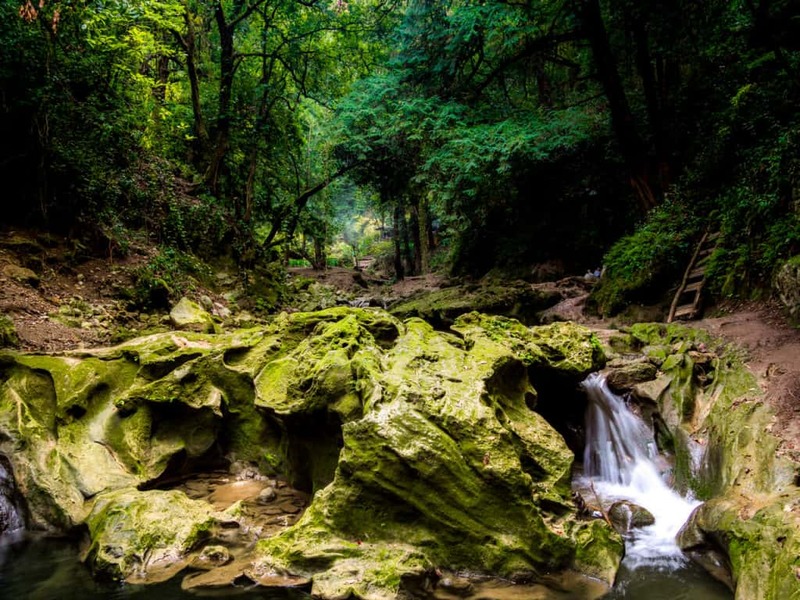 We hope that this guide will help you to enjoy your trip to the Akchour Waterfalls to the fullest. 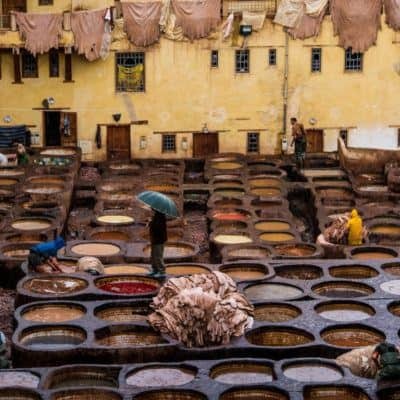 Traveling and Backpacking in Morocco! Have you ever been surprised by a beautiful place in or outside of Morocco? Let us know in the comments below. ** This article contains some affiliate links. If you book a hotel/hostel or purchase one of the recommended products through our website, we’ll receive a small commission at no extra costs for you. This way you’re helping us writing more informative and awesome guides like this. Thank you!